Hugh George Egiote Savage (1882-1957) – Temple Lodge, No.33, Duncan, B.C. R. Wor. 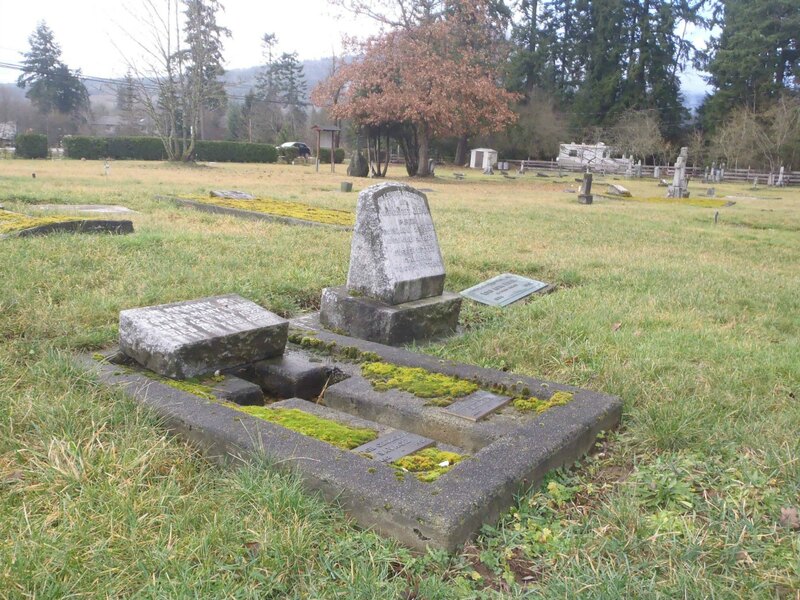 Brother Hugh George Savage was an Englishman who came to the Cowichan Valley in 1914 to become editor of the local newspaper, The Cowichan Leader. He later became owner and publisher of the Cowichan Leader, acting in that capacity until his retirement in 1956. 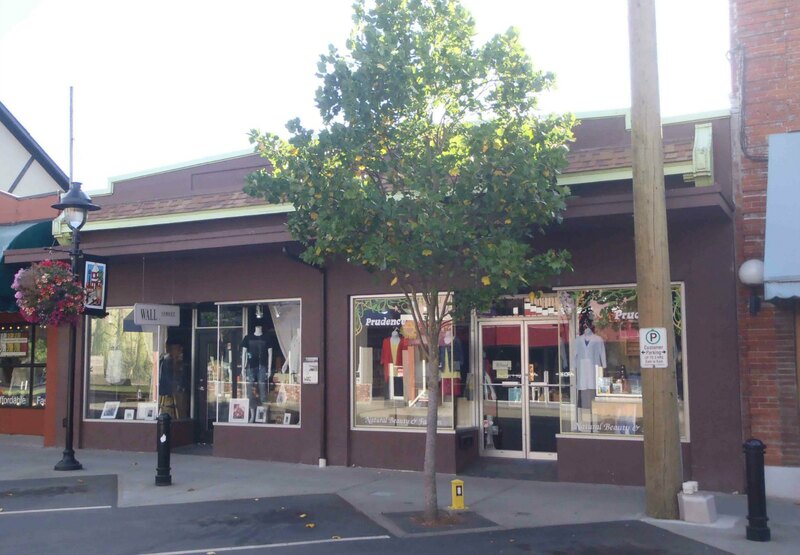 The Cowichan Leader office and printing press building, built for Hugh Savage in 1929 by architect Douglas James, is still standing at 151-155 Craig Street in downtown Duncan. Hugh George Savage joined Temple Lodge No. 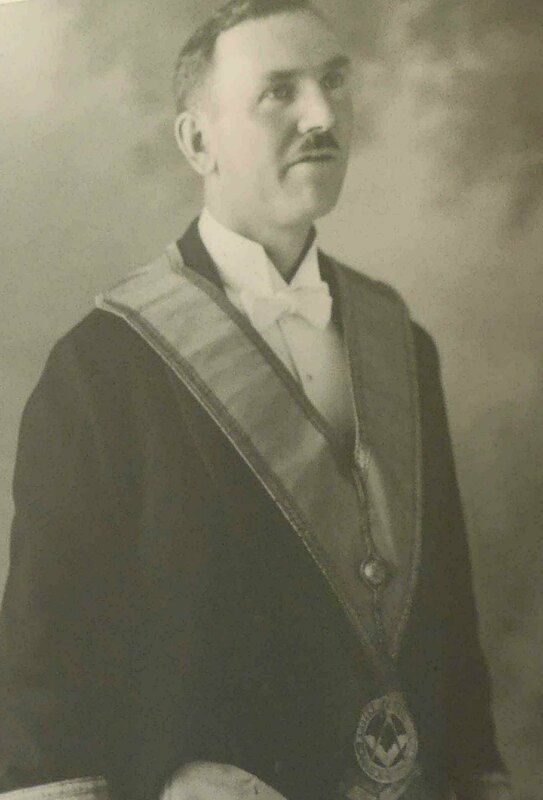 33, in 1916, serving as Worshipful Master in 1922. He was active in Temple Lodge, No.33 until his death in 1957. “…Petitions in due form were presented, namely:….. The Cowichan Valley lost one of its best known and respected figures last Thursday morning. The death of Mr. Hugh Savage at the age of 73 marked the end of a successful and colorful career, as publisher of The Cowichan Leader during most of his 43 years with the paper, which he sold only last December. Though he will not soon be forgotten his achievements will remain to the benefit of the community. Mr. Savage suffered a fatal heart seizure at his home at Mill Bay as he was about to leave on his weekly visit to the King’s Daughters’ Hospital. For as long as most people in the district can remember, Mr. Savage’s weekly round at the hospital has been an institution. Every Tuesday unless he was delayed by bad weather, the patients and staff of the hospital could look forward to a friendly chat and a few favors in the form of English toffees. As former editor, then publisher of The Leader, Mr. Savage had directed the fortunes of the paper since 1914. Adhering to the ideals of honest reporting, accuracy and public service, combined with his talents for originality and appreciation of tradition, he built up a weekly whose prestige extended beyond the limits of the Cowichan district. Beyond the world of his profession he was known as a deeply religious man. A staunch supporter of the Anglican Church he often served as a lay reader. He gave generously to charities and through the years was an active worker in many aspects of community welfare. Hugh George Egloke Savage was born at Stratford-On-Avon, Warwickshire, England. His father, Richard Savage, was a librarian and trustee of the Shakespeare Trust. He attended King Edward VI Grammar School; later, he wrote of the school. At the age of 15 he had his first experience in the publishing business when he worked briefly with Smith, Elder and Co., London. During the South African War he served 18 months in Africa with the 103rd Coy (Warwicks). At the age of 22 he and a friend, Ben Hughes, now of Courtenay and former editor of The Comox Argus, started out on a career of adventure. They migrated to New Mexico and both worked on railway and survey construction. In 1906 Mr. Savage went to Alberta and from there to Vancouver. Working at every stop and working his passage, Mr. Savage’s wanderings took him to San Francisco, Australia, New Zealand, South Africa then back to London in 1908. During these wanderings he turned his hand to such varied occupations as ship’s trimmer, mess boy, road worker, harvester, asphalt mixer and member of the compound staff of an African gold mine. Returning to Canada in 1909 he first became office staff of the Shamrock mine near Cobalt, then storekeeper of the Matabitchouan power development. Just prior to coming to Vancouver he was on the construction team of the Bow River Power plant near Kananaskis. He became reporter for the Daily News, New Westminster, in 1912, and the same year editor of the paper. While in the Royal City he introduced Maypole and folk dancing at their annual celebration. This still remains a feature of the festival and through the years Mr. Savage was always the honoured guest of the day. He also instituted the United Services Club while he was there and founded the National Reserve. The year 1914 was an eventful year, in that Mr. Savage married Miss Margaret E. Bicknell, London, and came to Duncan where he succeeded Major E.H. Luskin Johnson as editor of The Leader. One of his first steps as editor of The Leader was to make it independent of any political affiliations. He soon became well known in newspaper circles. As a member of the Canadian Press Association he was president of the B.C. and Yukon Press Association 1923-24. He became a director of the Canadian Weekly Newspapers’ Association, 1921-27, and president in 1929. Mr. Savage accompanied a CWNA party to England and the Continent in 1924, and as first editor to represent the association, attended the Imperial Press Conference in Melbourne in 1925. In the same year he was elected a member of the British Institute of Journalists. He attended the fourth Imperial Press Conference in London in 1930 as president of the CWNA. He also attended the conference in London in 1946. Under Mr. Savage’s editorship The Leader won the Mason Trophy in 1928. Through him the paper was instrumental in saving Cowichan Bay for the amateur fisherman; he gave leadership for the erection of a cairn on Mt. Prevost and prodded the government into legislating for better labour protection and more generous workmen’s compensation. Mr. Savage resigned as editor of The Leader in 1933 when he became an Independent member of the B.C. Legislature. He maintained his seat until 1937. While a member he received the King’s Jubilee Medal in 1935. Serving the community in several capacities, Mr. Savage was an early member of the Rotary Club. For many years he belonged to the Duncan Board of Trade and was its president from 1919-1921. He was also the second president of the Associated Boards of Trade for the Island. He was the Scoutmaster of the 1st Duncan troop and a Sunday School supervisor at St. John’s Church, Duncan. Mr. Savage had been honorary chairman of the Salvation Army’s annual campaign for funds. This was held in conjunction with the Cowichan branch of the Canadian Legion, of which he was a member and interested in many of its projects. An affectionate tribute to the publisher was evidenced by the large and representative gathering at the funeral service at St. John’s Church, Cobble Hill, on Saturday afternoon. The church was filled to overflowing and not least among the organizations was a large number of members of Cowichan branch, Canadian Legion, who formed open ranks as the coffin was borne from the church. Canon R.K. Sampson and Rev. E.M. Willis conducted the service. His Grace the Archbishop of British Columbia, Most Rev. H.E. Sexton, spoke briefly of the services rendered by Mr. Savage. “Today,” said the Archbishop, “we bid a respectful farewell to Hugh Savage, a man widely esteemed and regarded as a worthy citizen, and an outstanding type of Christian gentleman. Truth and rectitude characterized his words and deeds, and we have reason to be grateful for his example of good citizenship, and for the never failing courtesy and cheerfulness which characterized his contacts with others. The approach to the chancel was a mass of baskets and sprays of spring flowers, which were taken to the hospital after the service. Pallbearers were three employees of The Leader, W.S. Robertson, R.A. Peterson and Will Dobson, and three members of the Masonic order, C.A. Green, W.B. Powel and James Morrissey. 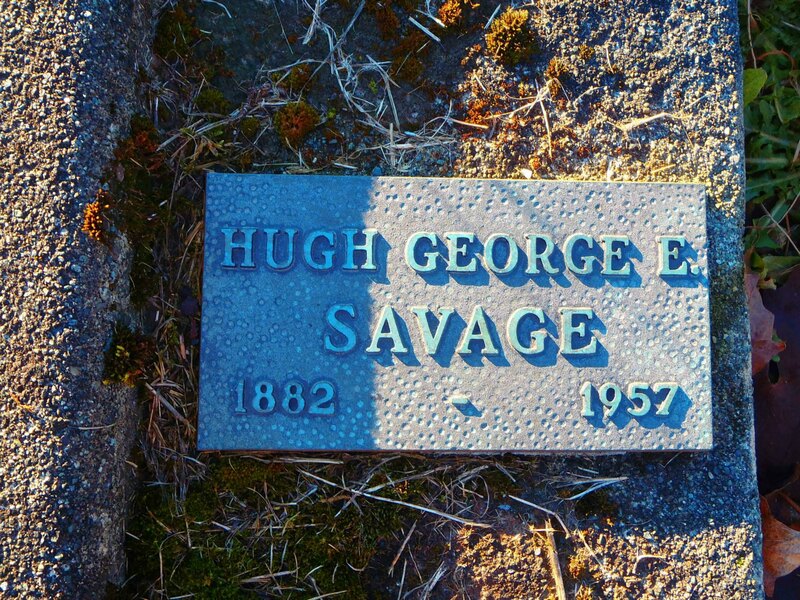 Hugh George Savage is buried in St. Mary’s Anglican cemetery in North Cowichan, B.C. 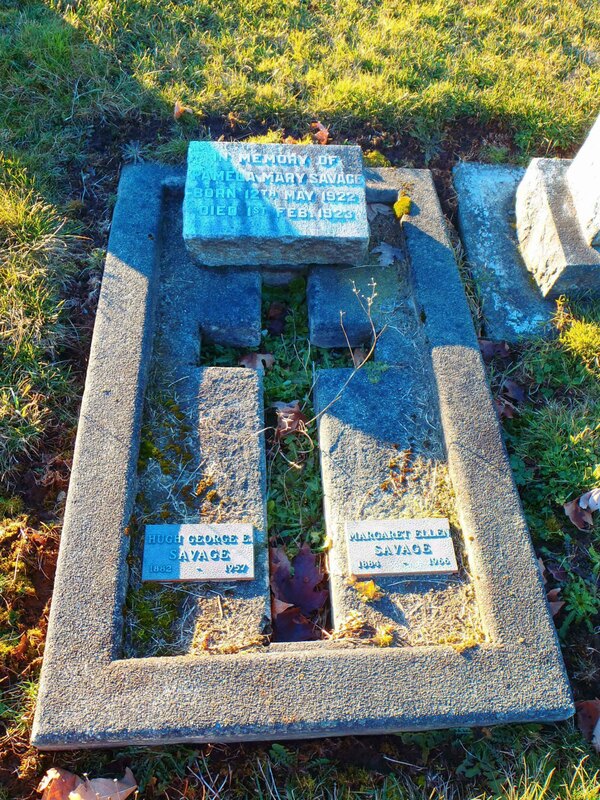 Hugh George Savage, family grave, St. Mary’s Somenos Anglican Cemetery, North Cowichan, B.C.